Nuestro condominio frente al Golfo cuenta con una amplia playa de arena y una piscina climatizada. Disfrute de tomar el sol en la playa o junto a la piscina, así como las fabulosas puestas de sol en el Golfo de México. Grandes restaurantes, golf, y tiendas están cerca. Visita Tampa y el Acuario de Florida, hogar de 4.500 especies de animales y plantas con zona de humedales. Podrá pasear por Ybor City, el distrito cubana que solía ser el centro para la producción de cigarros liados a mano. Esta zona histórica es ahora un spoy caliente con clubes nocturnos, restaurantes y galerías de arte. Cerca de St. Petersburgo también dispone de todo tipo de cosas interesantes que hacer - incluyendo el Museo Dalí Salvadoe. Busch Gardens es dentro de una hora. Walt Disney World Resort, Sea World y Universal Studios están a sólo 90 minutos de distancia. Nuestro apartamento también está cerca de Tampa Internacional o San Petersburg Aeropuertos. SIN COSTO EXTRA PARA LIMPIEZA O SALIR CUOTAS. No fumador, no mascotas. 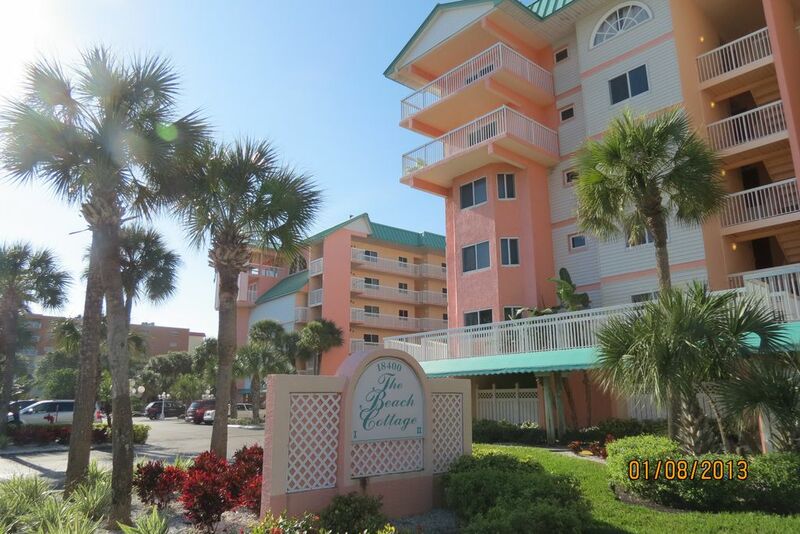 Awesome location with Beautiful views, perfect location directly on the beach! Thanks for your nice comments related to our lovely beach and amazing location. Regarding the maintenance issues you cited, I have contacted my rental manager and they assure they have all be address and fixed. We strive to maintain our condo at a very high level as does our condo association. Hope to host you on your next Florida vacation. Perfect condo! We will be coming back! Perfect in every way! Super clean, well kept. I would recommend this condo to anyone looking for a perfect vacation location. Great ocean view, clean, and nice furnishings. Great assigned parking by the stairs that will lead you to your door. No waiting on an elevator!! The gate to the beach is also steps away from those stairs. Wish there was an easier way to get out of the gate. Have to use a key coming and going, but when you get through the gate beautiful white sand and no overcrowded beach awaits!! Family enjoyed the unit and property! Only concern had a worker come in the unit while we were there which I think they should have scheduled maintenance after we left and not during our stay since it was not an emergency. Other than that unit was clean and again great views!!! Would love to come back!!! This is my 2nd year staying at this location..I enjoy the convenience of everything around, however the unit itself needs some things fixed..as they were not fixed last year. A refundable $200 security deposit will hold reservation until 30 days before arrival when the full balance is due. The deposit is refunded within 14 days after your departure provided no damage has occurred. You have the option to purchase damage protection insurance for $49-$69 per week in lieu of the deposit. Our cancellation policy if very straight forward. 100% of your deposit is refunded until the 2nd payment is due for any reason. Once the 2nd payment is made, (i.e. 30 days before arrival on one week rentals, Note: the cancellation notice is earlier for high seasons and multiple weeks rentals as specified in the offer). If the notice is after the 2nd payment is made then refunds are only made to the extent we can find an another renter for some our all of the period you had reserved and then only to the extend of recovery, i.e. net of any additional discounts given due to last minute bookings.